We hosted about 20 visitors at camp today for Parent’s Day, including a few camp alumni. It was an absolutely gorgeous day. A perfect day for an afternoon BBQ, outdoor activities and a lovely outdoor campfire. All of our emotions were close to the surface as we sang together at our final campfire this evening. And just like that…it’s done. In some ways summer has come and gone like the blink of an eye. But that’s impossible. It’s impossible to learn so much in just one blink. It’s impossible to become so close in just one blink. It’s impossible to grow so much in just one blink. It’s called “camp time.” It passes so quickly but impresses so deeply that it feels like forever. 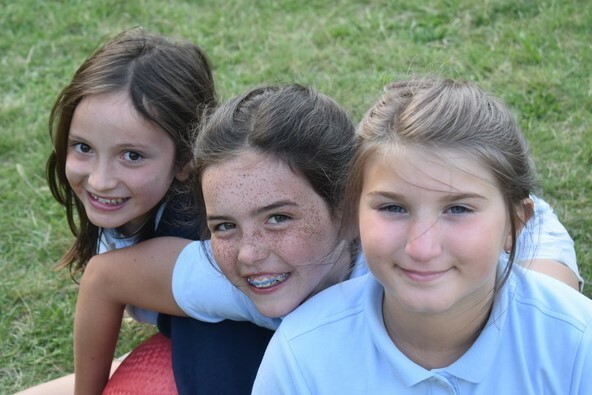 As we part, we will all take a little part of Camp Jeanne d’Arc in our hearts!